This model is small, but not the smallest in the Dufour range. 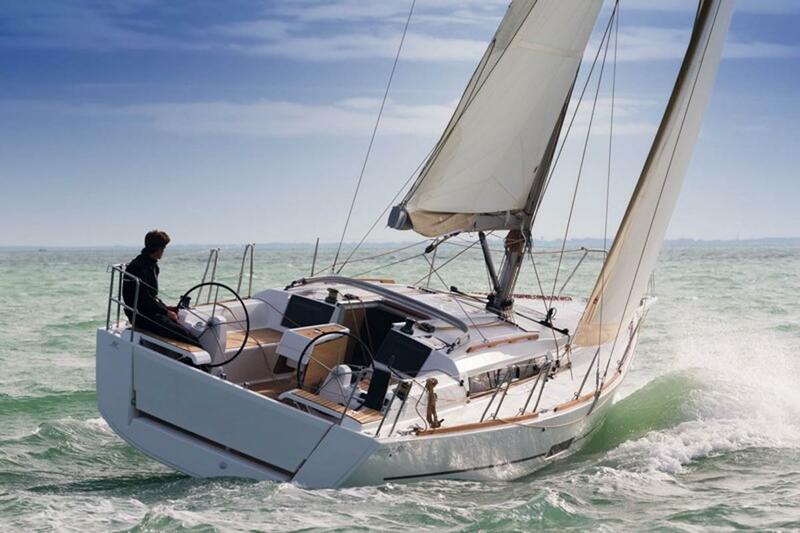 Although presented in 2014, this model is still fresh and popular among yachtsmen. Dufour 350 Grand Large is designed by renowned naval architect Umberto Felci, featuring recognized simple style with plenty of sharp lines. It is elegant, attractive and likeable. Many published reviews mentioned this baby calling her ‘compact’ and ‘family’ yacht for her well-balanced hull, rather robust construction and wide stern. The 9.98 m long hull’s effectiveness is supported by expressed chins and L-shaped hull drafting as much as 1.9 m. The steering wheel is well-responsive, as expected on the yacht of this size that also has a rather deep rudder. 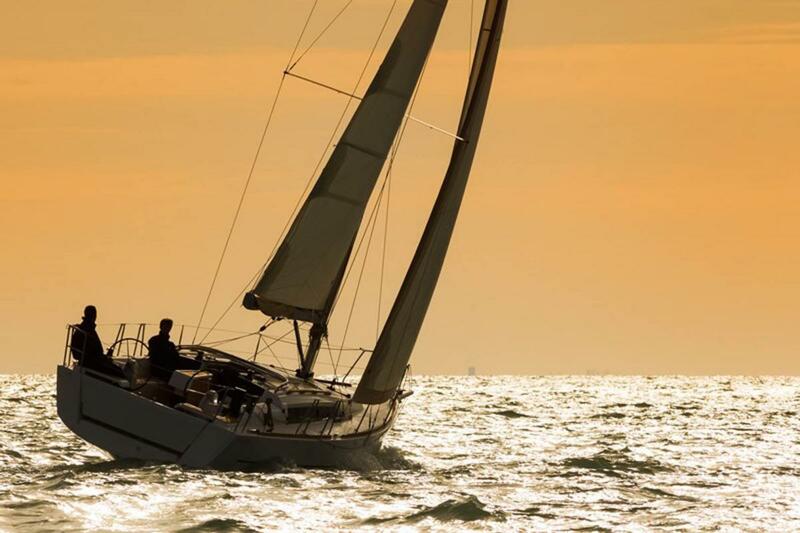 Sail plan is divided between a 34.5 m2 mainsail and a 20.5 m2 self-tacking jib, which can be altered by a 108% 25.5 m2 genoa. 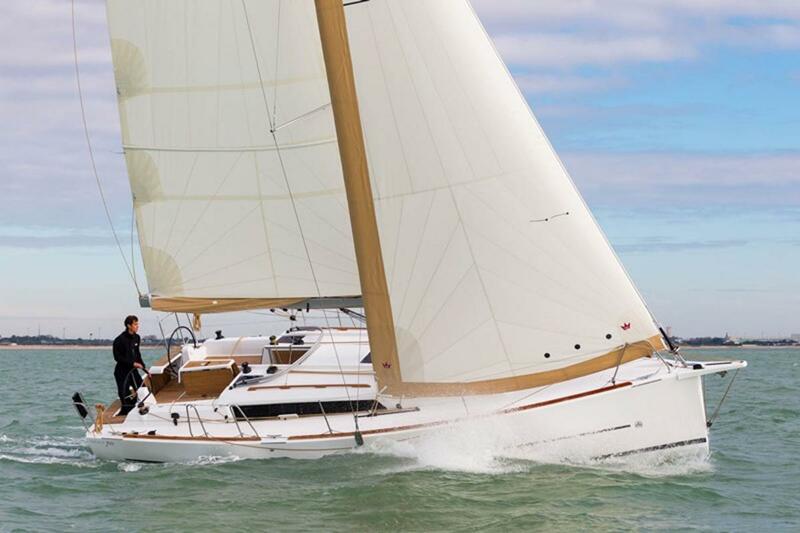 Dufour 350 Grand Large is propelled by a 20 HP Volvo Penta D1 or optionally 30 HP Volvo Penta D2. Technical specifications would suggest sporting soul of the yacht. 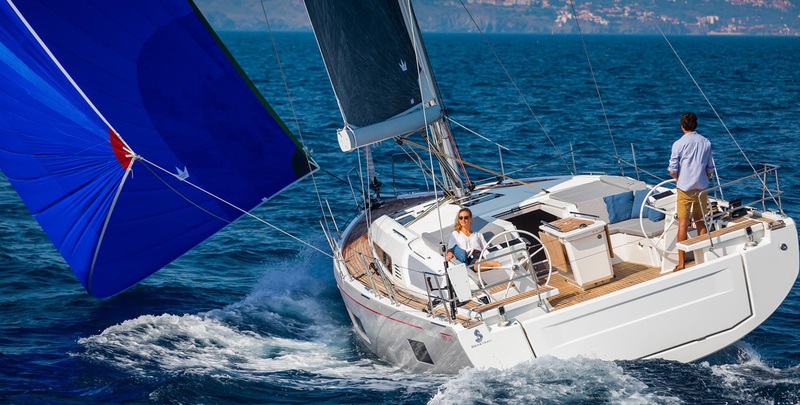 Deck equipment, displacement-length ratio, ballast and absence of the back stay prove it is about a vessel designed for relaxed holiday sailing rather than racing. This fact is emphasized by cockpit layout – there are two comfortable benches surrounding generous table’s sides, which would be a limiting factor if it came to the races. 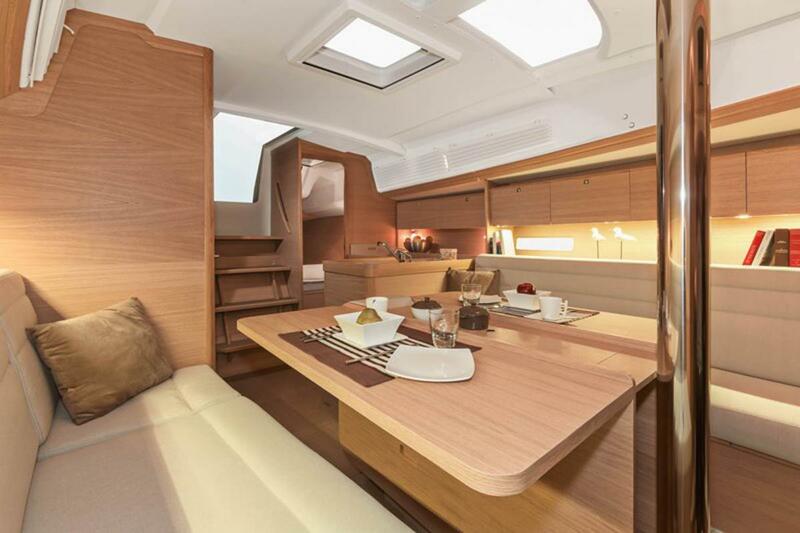 The interior layout is available in versions with two or three cabins, but only one head. Owner’s layout considers master bedroom to stern and guests’ suite in the front, divided from the saloon by large sliding door. The three-cabin version considers two double bedrooms to stern. The saloon design is made relatively conservative, without revolutionary or cutting-edge solutions, but with emphasized spaciousness and comfort. The furniture design combines white plastic areas with warm brown wooden fitting. 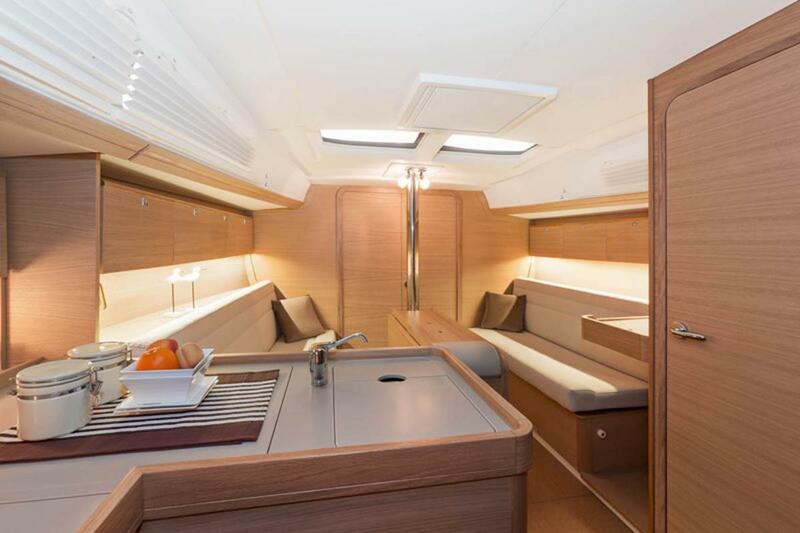 However, working panel in the galley and chart table are quite small, but wine lovers will adore this yacht because ‘wine cellar’, the bottle storage in the floor, accommodates as much as 11 bottles. There is also extra storage hidden in the dining table. When lowered, chart table extends the saloon settee turning saloon into quite comfortable lounge area. 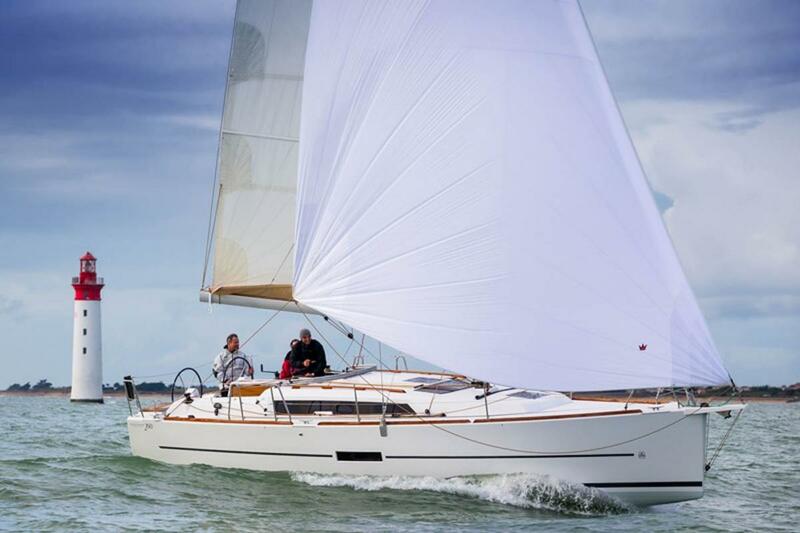 With tanks’ capacity of 90 L of diesel and 170 L of water along with features mentioned above, Dufour 350 Grand Large should be a nice option for relaxed sailing holidays for a family or a small group of friends. 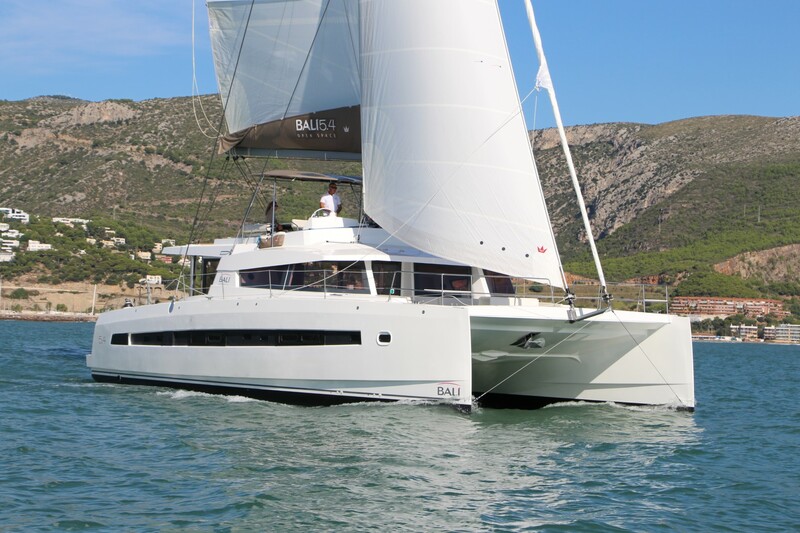 Her simplicity, size and the year of promotion this yacht is one of the favorite and most affordable choices among numerous charter agencies.